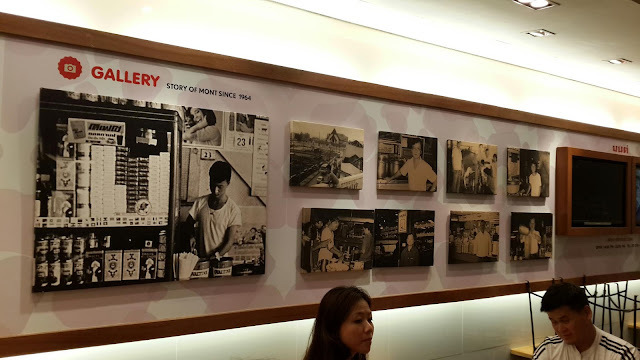 Kenny's cousin brought us to one of the oldest bakery café in Bangkok - A 50 years bakery shop which famous with it's Toasted Bread. It's mainly visit by local as their toasts, desserts and drinks are quite affordable. 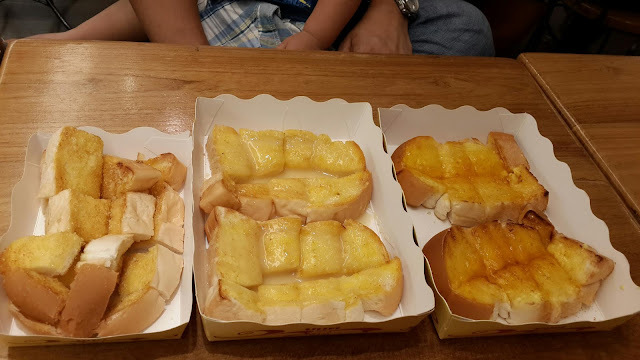 Their signature toasted bread is made with fresh milk instead of water, that's the reason why their bread was extraordinary soft and fluffy. Choose your preference topping for toasted bread, the best seller here - Traditional Butter Sugar, Condense Milk and Kaya. 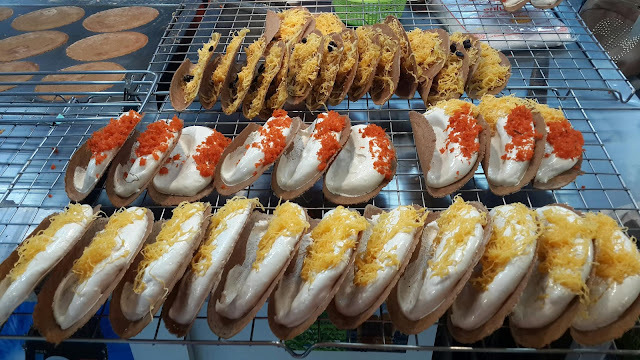 Popular street food - Thai Crepe topped with coconut cream, sweet and savoury topping such as shredded coconut, raisin, Foy-Tong (egg yolks boiled in syrup) or chopped scallions. It's thin, crispy and with juicy interior. 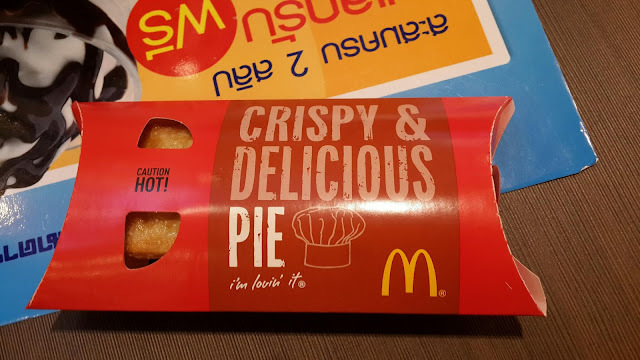 This Chicken Ham Crusty Pie taste so good. Inside the pie is tomato based sauce with chicken ham! 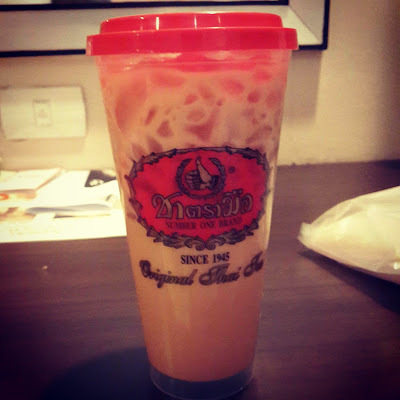 Only costs 29 THB. Why this flavour not available in Malaysia??! We came Terminal 21 by took BTS Sukhumvit Line from Phleon Chit to Asok after pray at Erawan Shrine. Terminal 21 is a one floor one theme shopping mall, having a total of 9 stories. The concept of this mall is market streets of the world. It's decorated based on well known streets in cities such as Caribbean(LG), Rome(G), Paris(M), Tokyo(1st Floor), London(2nd Floor), Istanbul(3rd Floor), San Francisco(4th & 5th Floor) & Hollywood(6th Floor) . This mall has the longest escalators in Thailand, up to 36 metres! Worth mentioning that Tao Kae Noi Land shop was here! 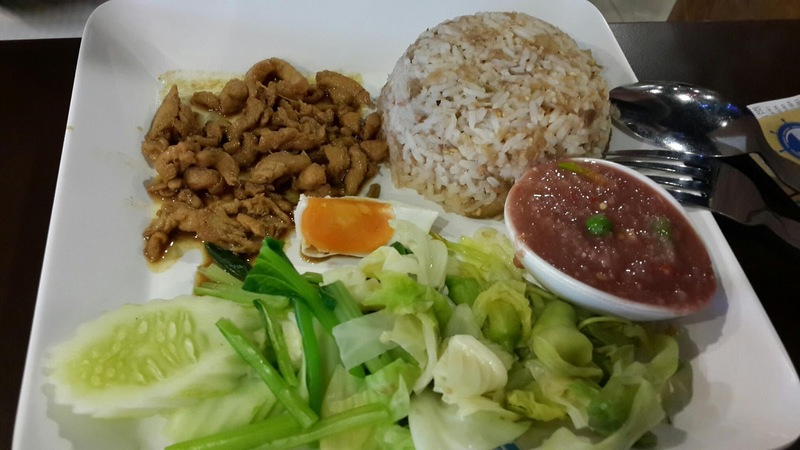 Pork Knuckle Rice (45 THB). Multigrain rice served with a little portion of pork knuckle, salted egg and vege. The small pieces of meat was mmm... unsatisfactory. Thai version of shaved ice. 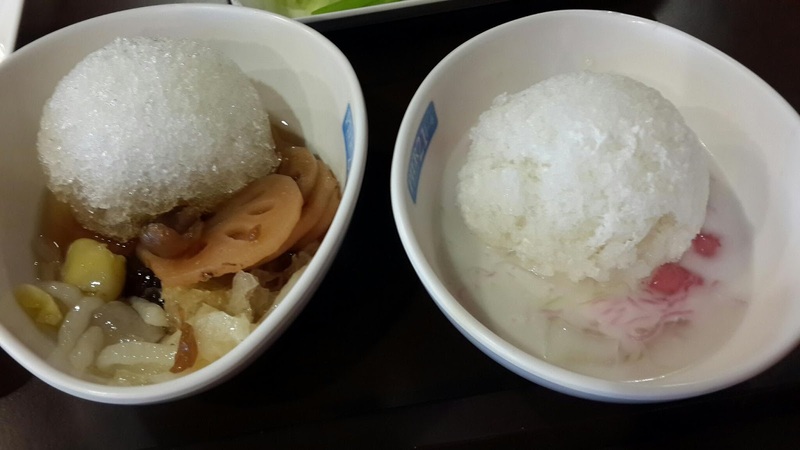 Nam Kang Sai and water chestnut in coconut milk (25 THB each). Tate wise. 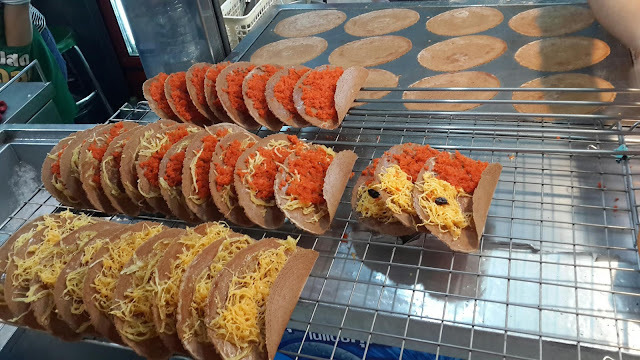 Prefer Nam Kang Sai because it's toppings were good, perfect sweetness. 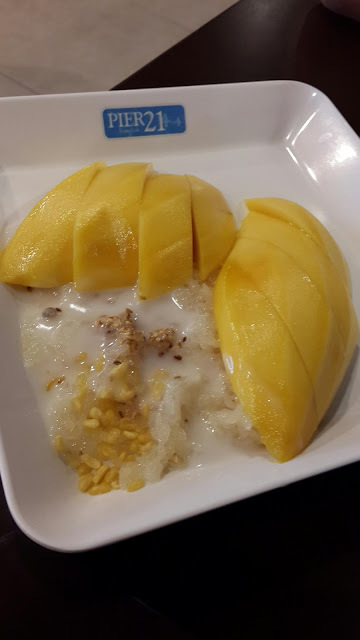 Mango sticky rice (35 THB). A mango and sticky rice with coconut milk. The perfect sweetness of coconut milk on top of warm sticky rice. Thumb up. Perhaps here was the most economical price of Mango sticky rice desserts in BKK. Not to forget to grab this Number One Brand Milk Tea at Gourmet Market (LG Floor) before leaved Terminal 21!! !